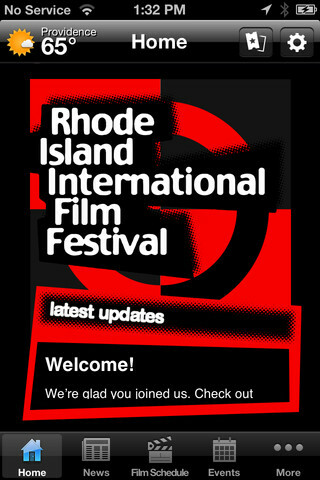 The Rhode Island International Film Festival (RIIFF), a production of the Flickers Arts Collaborative, has adopted the following Terms and Conditions of Use (these Terms), which are a legal contract between the Rhode Island International Film Festival (RIFilmFest.org), and you, the user accessing or using the RIFilmFest.org web site accessible through the URL http://www.RIFilmFest.org (the Site). RIIFF may from time to time provide links and pointers on the Site to Internet sites maintained by RIIFF’s affiliates or other third parties ("Third Party Sites") and may from time to time provide third party material on the Site. These Third Party Sites and third party materials are provided as a convenience only. RIIFF has not reviewed, and does not operate or control in any respect, any information, products or services available on Third Party Sites, and RIIFF is not responsible for any information provided at any Third Party Sites. RIIFF makes no representations and provides no warranties whatsoever concerning Third Party Sites, and the fact that RIIFF has provided a link to any Third Party Site on the Site does not constitute an endorsement, authorization, sponsorship or affiliation by RIIFF with respect to such Third Party Site or its owners or providers or any products or services mentioned or offered at the Third Party Site. RIIFF expressly disclaims any responsibility for the content, the accuracy of the information and/or quality of products or services provided by, advertised on, or sold through, all Third Party Sites. RIIFF provides an opportunity for users to exchange information, ideas and opinions through the use of the Site. 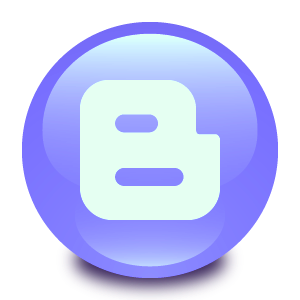 Communications posted in the Site’s community area, including but not limited to the message board, are provided by users such as yourself who are unaffiliated with RIIFF, and the user providing each such communication is solely responsible for the content thereof. In using the Site’s community areas, you should not assume that messages have been reviewed by RIIFF, that communications contain correct information, or that the persons posting such communications have accurately identified themselves and/or their affiliation with any third party. When using the Site’s community area, please be certain that anything you say does not compromise your personal safety. Do not provide your name, phone number, or any other personally identifying information to people you do not know. • use the Site for any unlawful purpose. Sponsors and promotional partners help to support the Site and the non-profit arts organization. Although RIIFF receives compensation from promotional partners and sponsors on the Site (collectively, “Sponsors”), RIIFF does not endorse the products or services of our Sponsors and makes no representations or warranties about the products or services of our Sponsors. You decide whether to click on our Sponsor’s banner ads or links and whether to make purchases from our Sponsors. You are solely responsible for payment of all costs or fees associated with the purchase of goods and services from our Sponsors. YOUR USE OF THE SITE IS SOLELY AT YOUR OWN RISK. RIIFF HEREBY DISCLAIMS ANY AND ALL REPRESENTATIONS AND WARRANTIES, WHETHER EXPRESS OR IMPLIED, REGARDING CONTENT, THE SITE, AND THE EVENTS, PROMOTIONS AND CONTESTS SPONSORED BY THE SITE INCLUDING ANY WARRANTIES OF AVAILABILITY, NON-INTERCEPTION, FREEDOM FROM VIRUSES, ACCURACY, RELIABILITY, CORRECTNESS, TIMELINESS, COMPLETENESS, NON-INFRINGEMENT, MERCHANTABILITY OR FITNESS FOR A PARTICULAR PURPOSE. YOU ACKNOWLEDGE AND AGREE THAT ANY AND ALL DISCLAIMERS IN THESE TERMS AND THE PROVISIONS OF THIS SECTION 5 REFLECT A FAIR AND REASONABLE ALLOCATION OF RISK BETWEEN RIIFF AND YOU. UNDER NO CIRCUMSTANCES SHALL RIIFF, ITS OFFICERS, DIRECTORS, AGENTS OR EMPLOYEES BE LIABLE TO YOU FOR ANY DAMAGES, CLAIMS, DEMANDS OR CAUSES OF ACTION, WHETHER IN TORT, CONTRACT OR OTHERWISE, WHETHER DIRECT OR INDIRECT, SPECIAL, INCIDENTAL, CONSEQUENTIAL OR PUNITIVE, AS A RESULT OF YOUR USE OF THE SITE OR THE CONTENT, PRODUCTS OR SERVICES PROVIDED THEREON. IF THE FOREGOING LIMITATION IS UNENFORCEABLE, YOU AGREE THAT RIIFF’S LIABILITY TO YOU, WHETHER IN TORT, CONTRACT OR OTHERWISE, SHALL NOT EXCEED FIVE HUNDRED DOLLARS ($500.00). You agree to indemnify and hold harmless RIIFF and its directors, officers, employees and agents from and against any and all claims, actions and proceedings and any and all costs, fees (including attorneys fees), expenses, settlements, and judgments that result from your breach of these Terms or your access and use of the Site. RIIFF grants you the privilege of accessing and viewing the text, graphics, audio, design, images, charts and other content (the “RIIFF Content”) on the Site solely for your personal, non-commercial use. RIIFF may revoke such privilege at any time with or without notice for any reason or no reason. Any and all RIIFF Content and other works on the Site and any reproductions of any of the foregoing (collectively, "Works") are the copyrighted works of RIIFF and/or its suppliers, and are protected under U.S. and worldwide copyright laws and treaty provisions. Other than the limited grant of access to and viewing of the RIIFF Content described above, RIIFF grants you no other privileges or rights in any of the Works. You acknowledge that any other use of the Works, including without limitation, reproduction, modification, distribution, transmission, republication, display, or performance, without the prior written permission of RIIFF, is strictly prohibited. RIIFF, and all page headers, custom graphics, logos, and button icons are service marks, trademarks and/or trade dress (collectively, the “Marks”) of RIIFF. You agree not to display, use or reproduce any of the Marks in any manner without prior written consent from RIIFF. Without limiting the generality of the foregoing, RIIFF specifically prohibits the use of any Mark as a “hot” link to the Site or any RIIFF web site unless the establishment of such a link is approved in advance by RIIFF in writing. Failure to obtain such approval shall entitle RIIFF to seek an injunction enjoining such use. All other trademarks, service marks, product names and company names or logos cited herein are the property of their respective owners. RIIFF makes no representation or claim that any information on the Site is appropriate or may be downloaded outside the United States of America. Access to the Site and to any information thereon may not be legal by certain persons or in certain countries. If you access the Site from outside the United States of America, you do so at your own risk of liability under the laws of the United States of America or of your jurisdiction. © 2017 Flickers. All Rights Reserved.